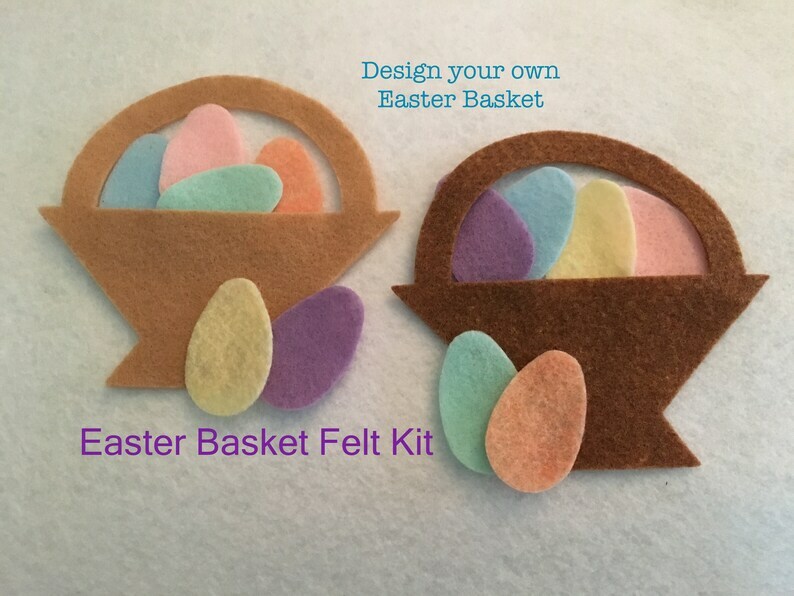 Felt Easter Basket with Colored Eggs Kit is ready for you to craft. 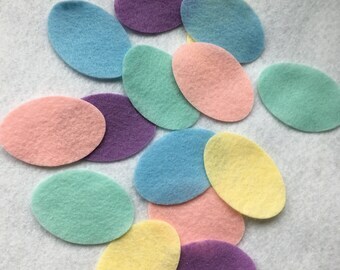 Perfect for making "quiet books", or flannel story books, imaginative play. Makes a great craft for birthday parties and themed parties. Fun to add dimension on your scrapbook page or handmade cards. Elements included in the package will create 4 Baskets filled with Eggs. If you want to make a "stuffy"...you will complete two baskets. 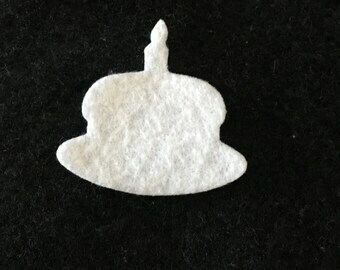 (front and back). Fill your basket with as many colored eggs as you like. 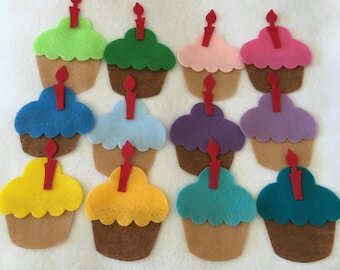 If you would like to change the colors, then please leave me a note during the checkout process in the "note to seller box" what color/colors you would like your felt cut from. Color chart is the last photo in the listing. By purchasing this item, means you have read the shop policies and are in agreement with them.